BOSTON — Octogenarian Harold Brown’s place in New England business lore was further cemented this week upon receiving a lifetime achievement award from the Institute for Real Estate Management, a prestigious trade group that recognized an event-filled journey dating 60 years that has brought his Hamilton Co. once again to the helm as a leading buyer, owner and operator of commercial and residential assets in Greater Boston. 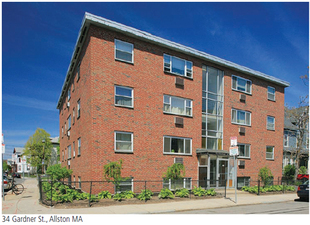 Brown’s accomplishments show little sign of easing anytime soon, as evidenced by the closing on a 91-unit multifamily portfolio in Allston and West Roxbury purchased for $18.5 million mere hours before the IREM gala. That investment followed a refinancing earlier in the week of the Coolidge Corner Movie Theater in Brookline, a loan taken on by Brookline Bank. Low interest rates and a nearing maturity led to that switch from TD Bank, details Hamilton President Carl Valeri, whose firm negotiated direct with the locally based lender. “That worked out very well,” says Valeri. Hamilton separately acquired the 91 apartments through Boston Realty Advisors on a team led by exclusive agents Christopher D. Sower and Jason S. Weissman representing seller Kamran Shahbazi. “That we did,” Valeri acknowledged of closing on the so-called Hub Portfolio that was 100 percent occupied at the time of the sale. The Allston buildings are situated at 10-20 Armington St., 26 Allston St. and 34 Gardner St. whereas the West Roxbury holding is across town at 1799 Centre St. That chasm is fine with Valeri, he relays, even though it is the only CRE asset held in West Roxbury by Hamilton. “It’s very well-located on Centre Street and should be easy to manage,” says Valeri of a 24,000-sf building totaling 30 apartments, 16 of which are two-bedroom, one-bath units and the remainder are seven one-bedroom and studios. School at 10-20 Armington St. which now houses 25 apartments in its three-story, 23,725-sf frame. The third Allston property is nearby 26 Allston St. which encompasses 16 units, 14 of those two-bedrooms and the remainder one-bedroom dwellings. Brown expressed gratification at the IREM honor, praising the organization for its professional advancement through such programs as the Certified Property Manager (CPM) credential. “They are a really good group,” he says in relaying he was especially touched at being lionized by his peers, a constituency that made for a packed audience which also included family and friends. “It was very nice,” Brown says even in acceding the attention made him a tad less comfortable than conducting his normal routine. “I am glad it is over,” he says, enabling Brown to continue the lifetime of achieving through what remains an active period. Besides the 91- unit Hub Portfolio as it was branded in the marketing effort by BRA, Hamilton previously acquired a 27-unit Winchester multifamily building to begin the fourth quarter. The Coolidge Corner Movie Theater refinancing is part of an ongoing assessment of the debt structure at Hamilton,explains Brown. “When we see we can get a lower rate without having to (incur) a prepayment penalty, we will do that,” he says, adding the homegrown element of Brookline Bank helped the lender understand the historic property’s significance in the town. As to those interest rates, Brown says they are the lowest he has ever seen, and predicts continued growth in the regional CRE arena. Brown praises Boston Realty Advisors for its professional role in selling the Hub Portfolio, one that Sower says generated some 130 inquiries and countless tours. “The interest further confirms the demand for urban multifamily opportunities,” he conveys, a notion shared by Weissman. “We’re going to book some big numbers this year,” he says. Besides major deals already completed in Boston and Cambridge, plus a Mission Hill listing at 256 Parker Hill Ave. just hitting the street this week, BRA has a Class A community in Yarmouth, Maine, that is generating interest, Weissman reports. 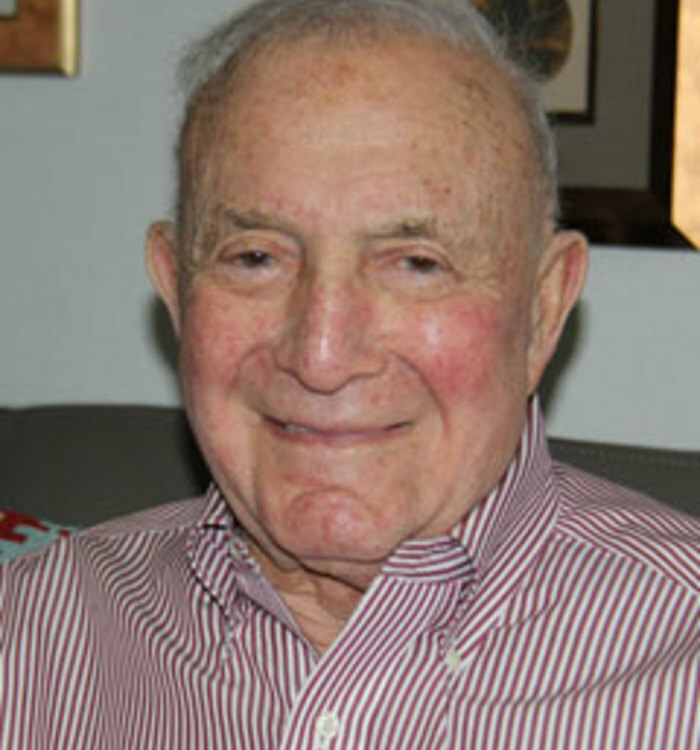 Weissman terms the experience dealing with the legendary Brown “a true pleasure” given his lengthy participation in the region’s apartment scene. Hamilton’s team was well-versed in the holdings and able to expedite its due diligence process in order to beat out a field of “aggressive” competition, says Weissman, adding he is not surprised the seasoned company would prevail. “They are very knowledgeable, and I think Hamilton will do well with this portfolio,” says Weissman.